All I have to say is….HOLY COW. 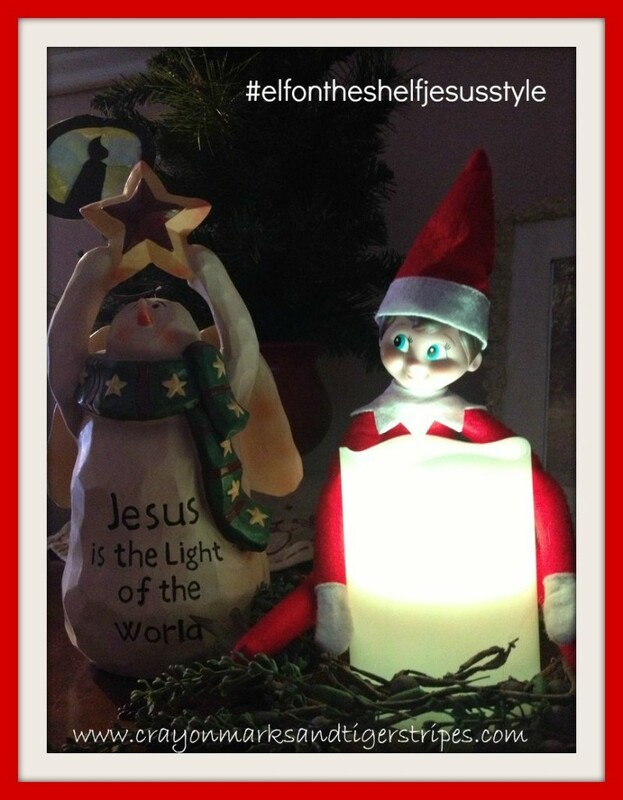 I cannot believe that Elf on the Shelf Jesus Style has gone viral!!! It has been shared over 60,000 times on facebook and nearly 7,000 on pinterest. I had absolutely no idea this idea would take off like this! What a blessing it has been to help families bring Jesus into a part of their family Christmas traditions! I love seeing how people are adapting this concept to their children. I have seen parents with older children leaving scripture clues as to where the Elf is hiding. 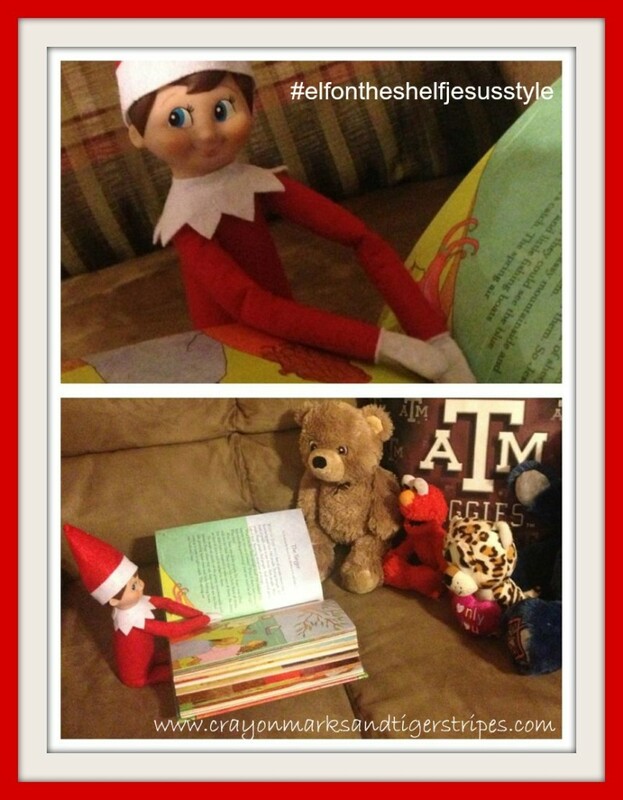 I’ve seen the elf leaving letters each day about a different biblical concept with an activity to reinforce it. 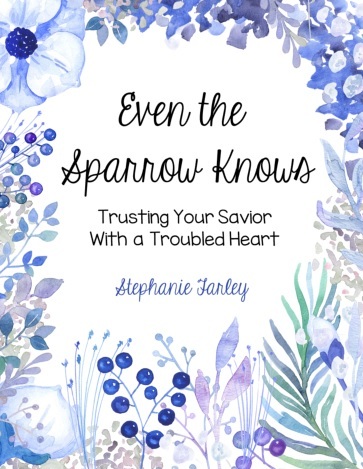 I love it because parents of older children can adapt it to be a little more challenging and thought provoking, and for toddlers, it can be kept simple but teach some very important biblical concepts. Everyone is adapting it to their particular child(ren) and it’s just so great to see parents being so intentional about teaching their children about the true story of Christmas. 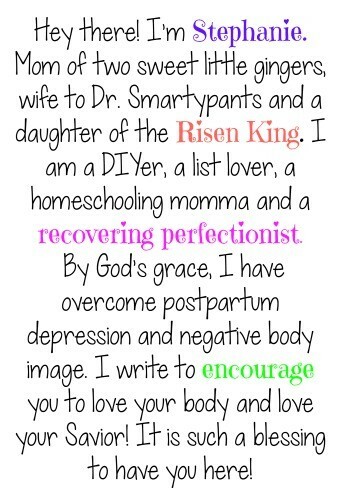 It brings me such joy to see how this is blessing others! We have been having so much fun with our elf. 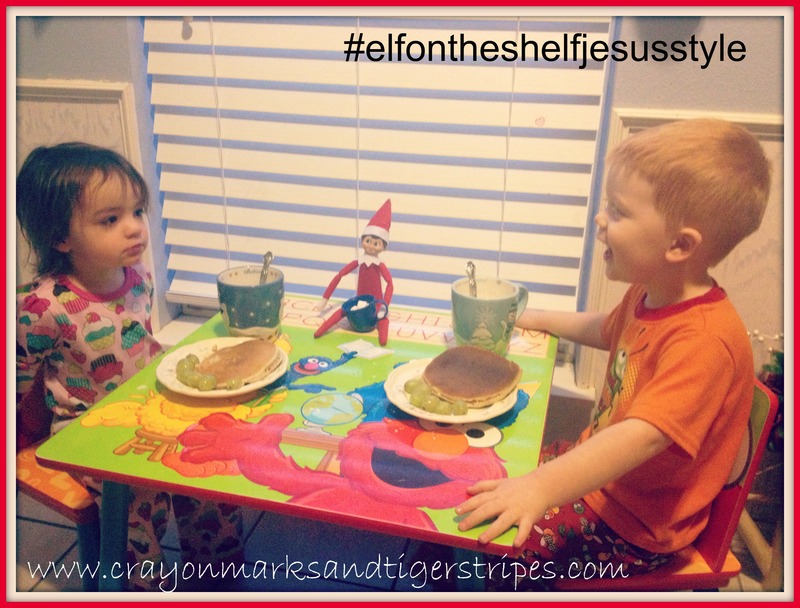 E eagerly looks for our elf, Five, every morning, and it is such delight to see his eyes light up when he finds him. I am so thankful that God gave us the gift of imagination! Here’s what our elf has been up to this week ! Our elf arrived on December 1st right before bedtime. My husband sat the box outside the door, rang the doorbell and ran inside! E ran to the door and was so excited to see a box with his name on it and was in awe of the elf inside. 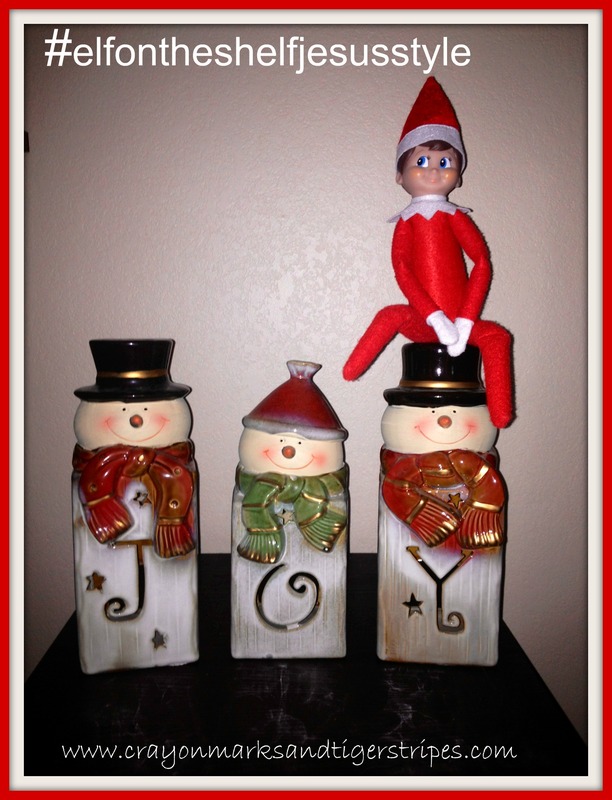 The next morning, our little man decided to name our elf Five. On Day 2, Five taught us about how Jesus is the light of the world. I explained to him that a long time ago, people had darkness in thier hearts. They disobeyed God and didn’t love him any more. People today still have darkness in their hearts. God sent Jesus to die on a cross to get rid of the darkness in our hearts and replace it with Jesus’ light. Jesus came to forgive us of that darkness. He is the light of the world! On Day 3, we found Five reading the bible to his friends. We talked about how it is important to share the gospel with our friends. God has given us a job to share the story of Jesus with others. We had a sleepover with one of E’s little buddies so on day 4, Five was waiting for them with hot chocolate and pancakes. We learned all about fellowship and how it is important to spend time with others who have Jesus in their heart. On day 5, Santa sent a book back with Five. E is a little bookworm and was so super excited! We have read this book many times since it arrived. And it is such a precious, sweet book about God’s love! Today, day 6, we found Five hanging out with the JOY snowmen. E was particularly impressed that Five was sitting on the snowman’s head. Today, we are talking about what joy means. In toddler-ese (yes, that is an official language), I explained to E that joy means very, very happy. God brings us joy, and it makes Him very happy to see us happy! When we follow Jesus, God gives us joy! Remember to follow #elfontheshelfjesusstyle on pinterest, facebook and twitter to see daily pictures of our elf’s activities and share yours as well!!! Looking for some more holiday tradition inspiration! 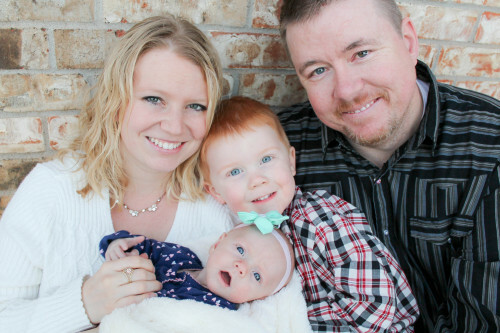 Check out my friends from Inspired Bloggers Network on our Inspired Holiday Hop!! Psychowith6 – Are You Celebrating Christmas the Right Way? 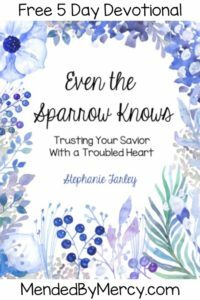 Guilt Free Quiet Times Q&A and Giveaway! 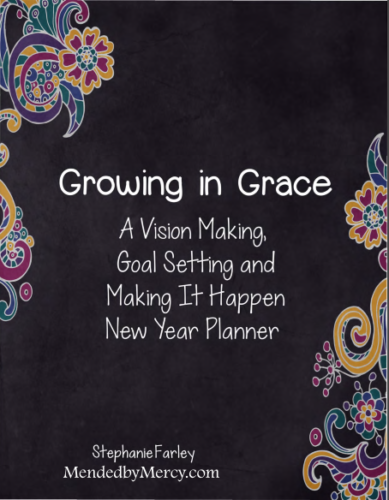 I love this idea and was trying to work on something similar for this year. Really looking forward to bringing thus into my family. Now I’m just hoping to find an Angel that’s as flexible as Elf on the Shelf as a replacement. Excited for you to join us in this fun adventure! My kids were older by the time this trend caught on, now I’m glad we don’t participate since it seems to become one more thing to stress moms out. I definitely like the idea of putting the focus back on the meaning of the holiday like you’re doing! I definitely couldn’t handle the “mischievous” elf because what mom needs one more mess to clean up!?!? This has been a really fun way to teach about Christ in a very simple, toddler like way and we are loving it! Such great ideas for your little elf! I love the first picture with the candle in front of Five. 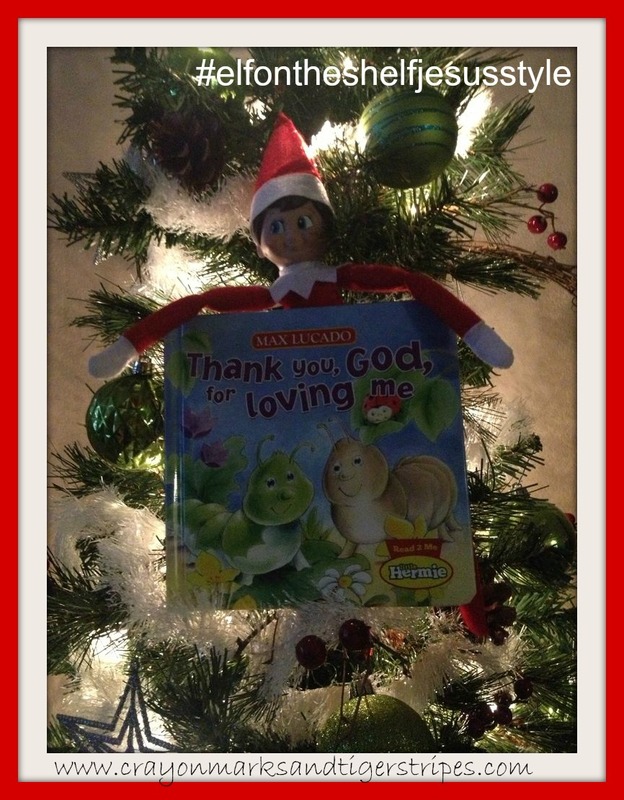 I’m looking forward to seeing what your elf is up to next week! Thank you!! We are having so much fun with it! !